We are recognized as a noteworthy manufacturer and trader of a broad assortment of Paver Block Making Machine, InterlockingTiles Making Machine, chemical hardener making machine, lacquer making machine. 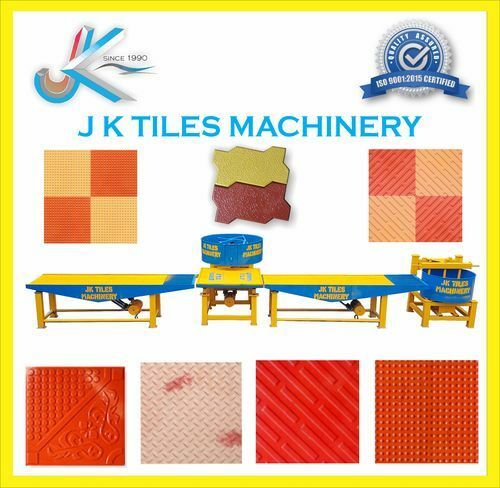 With the support of a skilled team of professionals, we are manufacturing and trading a wide range of Tiles Making Machine, Block Making Machine, Tiles Making Table, and Tiles Hardener. These machines are manufactured using the best quality components by utilizing cutting-edge technology under the guidance of skilled team of professionals. Our clients can avail these products from us in varied specifications at the most competitive prices. These products are widely acknowledged by our clients for features like high performance, low running cost, robustness and longer service life.